According to Wikipedia, “Social television is a general term for technology that supports communication and social interaction in either the context of watching television, or related to TV content.” In simpler words, we can define Social TV as the digital interaction amongst people about TV content and the user interaction with the TV content itself. 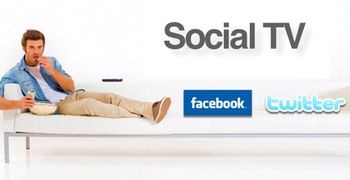 How does the TV become Social? Posting views or discussing TV content on Facebook, Twitter, or any other online social media sites. A recent study by TVGuide.com states that 49% of the users surveyed say that they talk about the show on social media while watching it. Chatting (online) about a TV show with friends while ‘co-viewing’ it. Liking your favorite show pages on Facebook or following their accounts on Twitter for live updates. “Checking in” or “Tuning-in” to a site or an app, when you watch a TV show. Check out an Indian startup based around this functionality. What’s in it for TV content owners (TV channels, production houses, etc.)? User Feedback: Though everybody always had their views/reviews on TV shows, there have been limited channels through which the TV content owners can get access to user feedback. Digitization solves this problem. Now there is a possibility for TV channels to get a grip on the user sentiment around their shows which has quite a direct relation with the show’s TRP ratings. In simpler terms, TV channels now have ways to ‘listen’ to user feedback. The recent show Satyamev Jayate received huge response on social media platforms on the day of its first telecast. User Engagement: TV channels can even move a step forward from the ‘listening’ stage and indulge in engaging with users. This can be done through Facebook pages, Twitter handles or other online platforms. TV channels can listen to and also respond to users through these platforms. There is also a possibility of increasing the talks around your shows. User Acquisition: The prime target of TV channels is getting new viewers and digital media has increased the discoverability of TV content. There is quite a high chance of a user going and watching a show if he/she sees his/her friend tweeting about it or posting about it on Facebook. 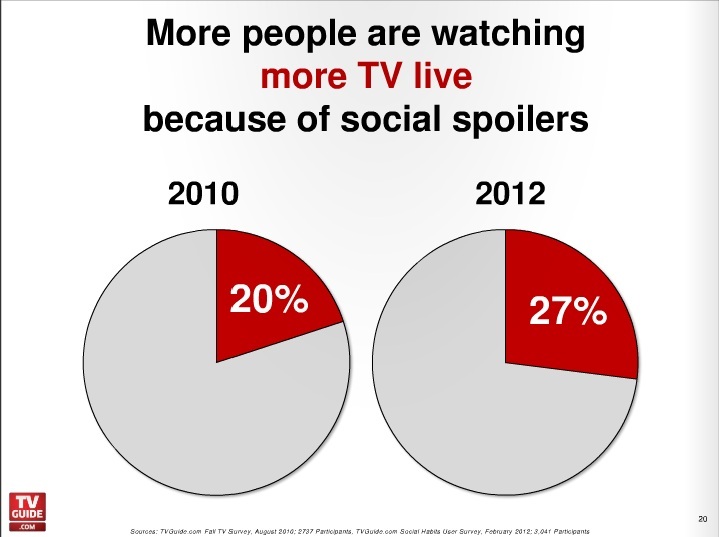 A recent study by TVGuide.com states that “more people are watching more TV because of social spoilers”. 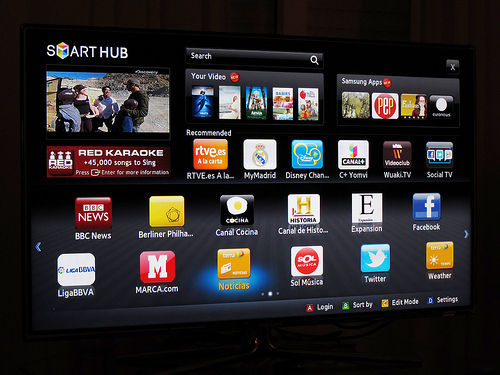 Smart TV comes in to remove the necessity of a second screen to interact with other viewers while watching TV. It comes with in-built functionality to access internet and also a plethora of apps specifically designed for the TV screen to access popular social media platforms. In addition to the social media platforms, there are also specific apps for rating TV shows, providing feedback, getting TV show recommendations based on your tastes and so on. What’s in it for brands (or advertisers)? Scenario 1: You are watching a football match and during the match you see an advertisement for the team merchandise. Scenario 2: You are watching the same football match and you get an option to buy the team merchandise at that point of time itself using a Smart TV or a smartphone e-commerce app. No rewards for guessing that the seller would profit more in the second scenario. This is exactly where brands come in. Social TV has provided them an opportunity to target their ads and products to viewers when their sentiments are the highest. For example, the Watch with eBay app combines shopping and entertainment and allows users to purchase items inspired by entertainment television. Combine the social angle to this shopping while watching TV feature – possibility of posting to social networks what you bought and see what your friends are buying – and this becomes too powerful a platform to miss any brand’s eyes. A dreamer, Wannabe achiever, books lover, social media follower and a techie at heart!